With summer in full swing, thousands of New Jersey residents are spending their weekends at the Shore and at the various lakes throughout the state. There have been a number of drownings recently in the ocean, which unfortunately cause many deaths and injuries. It seems that unfortunately, every weekend, a news story comes out about yet another person who drowns. And even more unfortunate, is that more often than not, those who drown are children. If you go to one of New Jersey’s many popular beaches, it is important that you take the proper safety precautions if you plan to swim. One of the biggest causes of drowning in the ocean are rip currents. Make sure to only swim in areas that have a lifeguard on duty. If there are rough waters and big waves, it is important not to swim. Additionally, if you ever see warnings that rip currents may be present, do not swim. It is important that you only swim in the ocean if you are a strong swimmer. If you are inexperienced, it may be best to only go in up to a place where you can stand easily. Do not leave children unattended in the ocean. 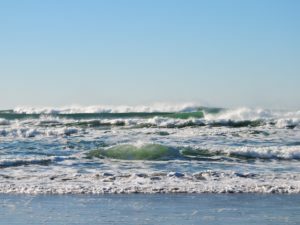 While it is important that beach trips aren’t ruined by the thought of drowning, it is also important to be cautious if you do plan on swimming.